1. The door is damaged and does not close correctly. You may have accidentally backed into the door with your car or it could have other signs of damage caused by the weather and elements. If you notice light coming into the garage where it should not, like in between the door panels, you will want to get a new door. 2. There has been an increase in your energy bills and rates have not increased. Gaps and small openings around the garage door can cause cooled and heated air from inside the home to escape and allow outdoor air into the garage. This can cause your furnace or air conditioner to run more often when the air inside the garage gets inside the home. 3. The door is difficult to open and close. If the automatic opener is having difficulties raising and closing the door and you are having an equally hard time opening and closing it manually, it often indicates the door is warped and needs to be replaced. 4. The door is excessively noisy whenever it is opened or closed. There can be a number of causes for noisy doors, including normal wear and tear and aging. 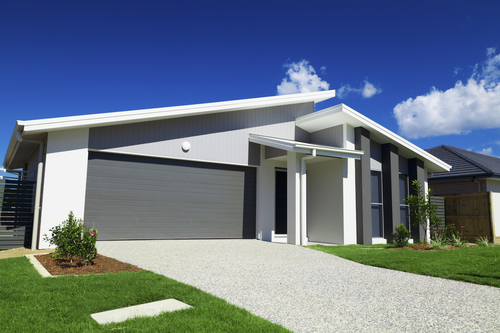 New garage doors are designed to be quieter and open and close much more smoothly. 5. You notice signs of mold, mildew, and rotted sections on your wooden garage door. Wood requires annual maintenance to keep it properly sealed and protected from the elements. If you neglect to do this, the wood will rot, not to mention promote mold and mildew growth. 6. Your door is missing features you desire. Modern residential doors have many new features, like weather stripping, insulation, bottom rubber seals, and safety features your current door may be lacking. Plus, our new doors have added technology features, like our mobile app that allows you to open and close the garage door from just about anywhere! 7. You are renovating or remodeling your garage. If you are changing what you will be using your garage for, like converting part of it into a game room or a place to work out on and has windows in the upper section to allow natural light inside. 8. You are preparing to sell your home. A new garage door will not only add curb appeal to attract potential buyers but can also increase the value of the home so you can list the home at a higher sales price. To learn more about our premium residential garage doors or for assistance in finding an authorized dealer in your area, please feel free to contact Richards-Wilcox Doors at (800) 667-1572 today!